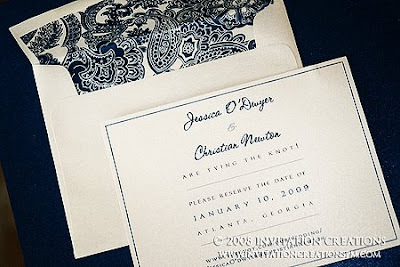 Jessica was referred to me through one of my favorite brides, Melissa. Jessica wanted something simple and clean. 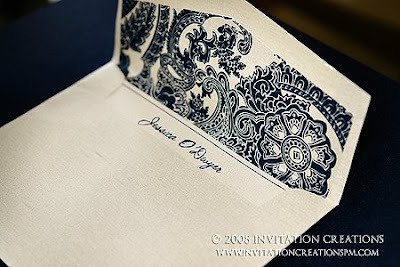 She chose the patterned paper since she felt it represented her venue the best. 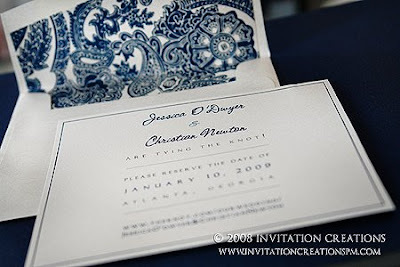 Using it as a liner for the envelope gave it that punch of design and I was still able to leave the save-the-date card free of design elements just as Jessica wanted!